In a world teeming with innovative marketing strategies and constant social media advancements, it’s more important than ever for artists and bands to develop an astute understanding of self-promotion in the digital realm. Musicians are being forced to become overnight entrepreneurs due to the stiff competition within the industry, having no real barrier to entry. While there are bands at the pioneering forefront of creativity that set themselves apart (i.e. Imagine Dragons’ dedicated app for fans), it’s a tough venture to rise above the competition. 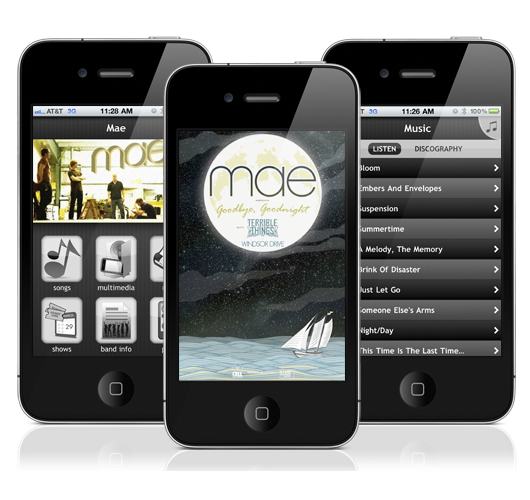 Thankfully, there are a number of fan engagement apps designed with the on-the-go musician in mind. Here are eight essential apps to acquire and interact with fans. Building a fanbase as a musician comes down to two simple requirements: branding yourself and getting your music heard. These apps help both in creating a brand and sharing music with millions. What better way to realize a brand than to create your own official app with MobBase? This app is great if you want to build a completely personalized app to represent your brand in its entirety. With MobBase, artists can connect with fans anywhere and everywhere to share music, photos, videos, tweets, info about gigs, sell merch and more. You can easily set up your app and publish it in under an hour, removing the guesswork from app development. Track analytics reports and manage ticket purchases all from a single app. The only setback about this app is the lack of support for iPad and the somewhat high, upfront activation fee for iTunes (along with the required $99/year iOS developer account). Price: Initial setup and app are free. Monthly costs vary depending on types of account/services. Check the pricing page for more detailed information. 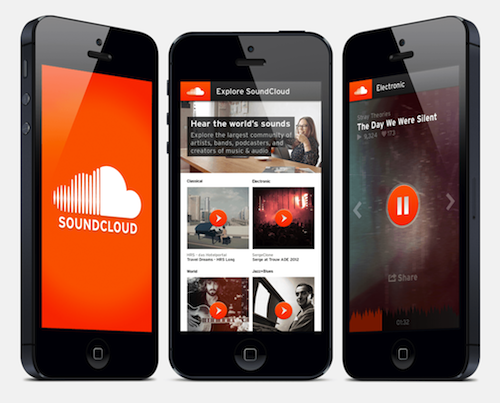 SoundCloud is an amazing platform for getting discovered by true music lovers. With extensive content tracking, specific categorization and tagging, your music will be available to over 250 million mobile app users. This app makes sharing music seamless. With the fluid integration of other platforms such as Facebook and Twitter, you can easily reach a huge audience of future fans. My only complaint is that the free subscription plan only allows two hours of uploaded content, and minimal statistics. 3. ShoutEm, by ShoutEm Inc. I love apps that take complex tasks and make them accessible to anyone – and ShoutEm is simply genius. 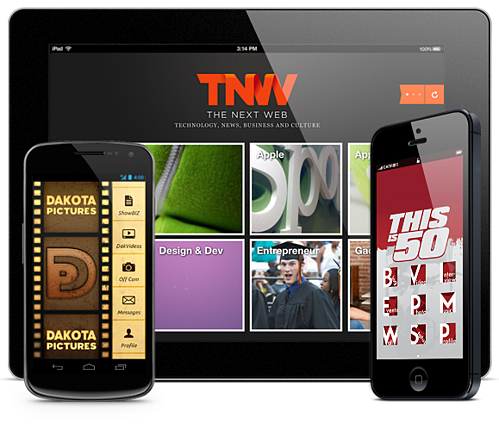 With its intuitive interface, you can basically become a mobile app developer overnight. Imagine being able to create an individualized app for your band where fans can easily access all of your news and media. ShoutEm gives ordinary mobile device owners the ability to create an entire platform to connect and interact with fans without knowing anything about developer coding or HTML languages. Although ShoutEm offers Drupal and Wordpress website integration, as well as more customization options over MobBase, it has weak marketing help and lacks complex monetization options. Still, it’s a great way to create your own unique app for fans. 4. ReverbNation, by eMinor Inc.
Give your fans unlimited access. Whether they're at home or on the road, your fans can listen to your music, see upcoming shows, check out photos and view recent news. This is a great app because it accomplishes both tasks of fan engagement* – it enables effortless music promotion and statistics tracking, and encourages existing fan interaction through show schedules, news feeds, backstage access through photos and videos, and a dedicated blog. Price: Free with a ReverbNation artist bundle. *A close contender is Mobile Roadie. With social media, the fans themselves help promote music by utilizing mobile apps, taking a lot of pressure away from performers. These apps help strengthen the connection between the artist, audience and music. 5. Ustream, by Ustream Inc.
You may have seen Livestream, Google+ Hangouts and YouTube Live sessions, but Ustream is by far the easiest method of connecting with your fans directly. 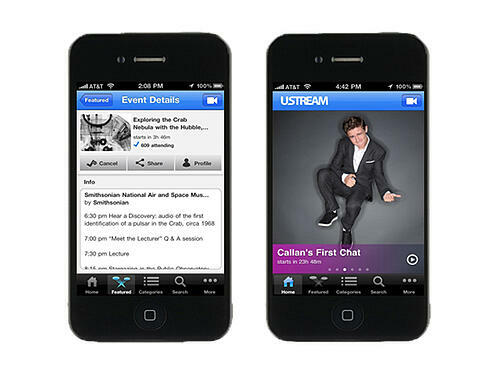 Nothing is more engaging than a personal, real-time conversation, and Ustream provides the outlet to make that happen. With superstar artists like Taylor Swift utilizing Ustream’s Facebook app to host live chat sessions with exuberant fans, it’s clear that keeping your fans engaged requires a little more than sharing occasional status updates. Ustream offers easy customization, real-time chat and is ad-free. The free plan allows video embedding on other websites such as Facebook, and does not require viewers to register. 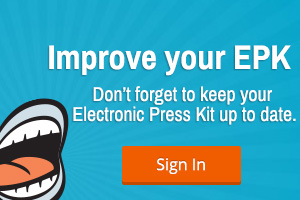 Price: Free initial 30-day trial period. Monthly plans are competitively priced based on services and viewer hours. SoundTracking is an app that elegantly displays the latest music, using content IDs to create a competitive user experience. 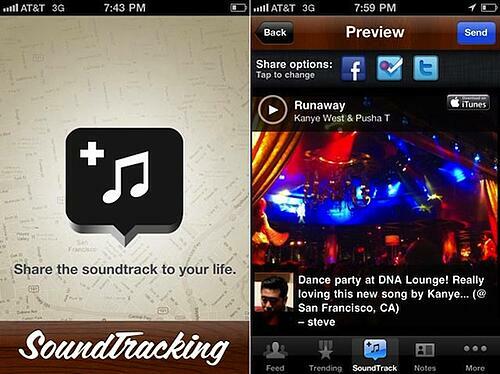 Instantly share songs to Facebook, Twitter, Instagram, Foursquare, email and SMS. 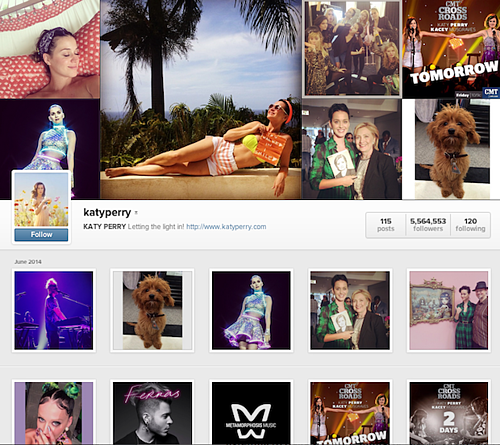 Add photos, hashtags, captions and song identification tags to increase your visibility in user searches. This app is fantastic for enabling your fans to help promote your music by allowing them to easily share the songs they love as they listen. While it’d be great to see integration with more iOS/Android apps, a native iPad client and the possibility to share music from a computer, this app holds too much potential to pass up. 7. Instagram, by Instagram Inc. If you’re not using Instagram, you’re already playing catch up. With over 200 million users, there’s a whole wealth of potential not only to be discovered by new fans, but also to interact with current fans. Fans love feeling close to the artists they worship, and Instagram bridges the gap between an artist’s onstage persona and their everyday life. 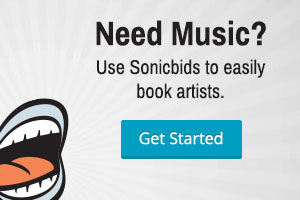 Considering the app is free, it’s a no-brainer for performing musicians to help keep fans engaged. The idea this app represents is what’s most impressive. The potential for fan engagement goes beyond the music itself – it’s about the experience the music can create. 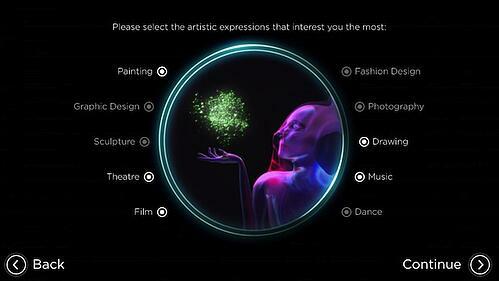 Last year, Lady Gaga released an app to accompany her ARTPOP album, creating a “musical and visual engineering system that combines music, art, fashion and technology with a new interactive worldwide community.” The mobile app enables fans to create animated graphics and interact with other fans, while listening to Gaga’s album. Similarly, Metric’s app, METRIC Synthetica, lets fans interact with music from the band's latest album using finger gestures to re-mix tunes and create their own music. Fans can toggle different instruments and speed up and slow down tracks, creating more of a conversation with the band. I encourage emerging artists and bands to play around with these apps to get inspiration for more ingenious ways to utilize mobile technology in keeping fans entertained. Which apps do you use to stay in touch with your fans? Let us know on Facebook and Twitter.